what kind of bird is it? I do love the fluffy look of him. So cute, but looks cold. Have a Happy Halloween. LOL, Tonya. I can see that! 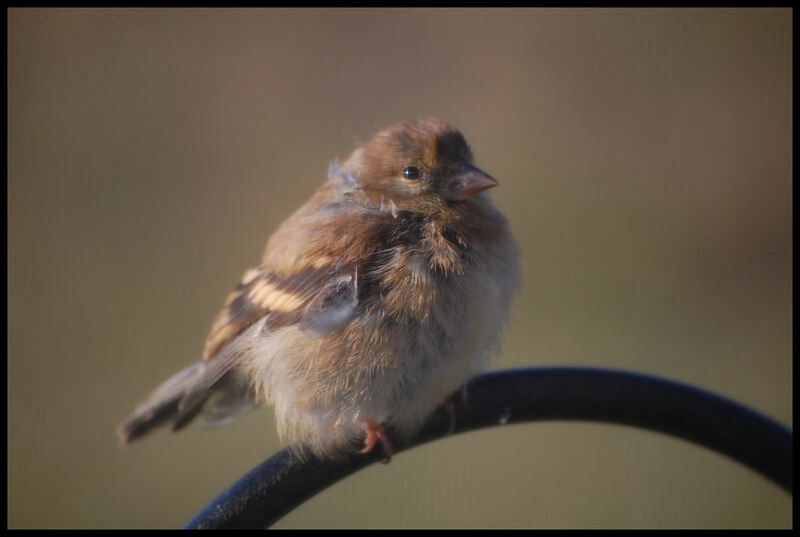 Dru, we think it's a baby goldfinch. They're not usually so fluffy as adults. It's chilly here in the mornings now, MC. Brrr! Thankfully, still getting into the 60s in the afternoon. I'm SO not ready for winter.